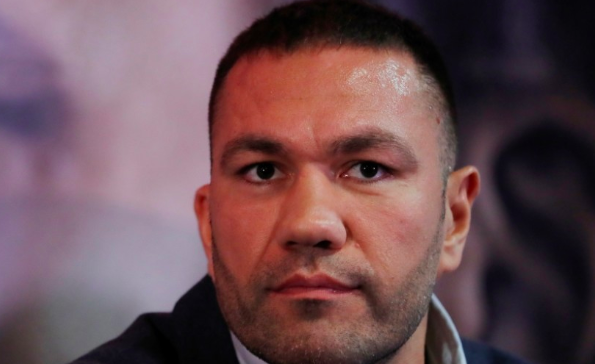 Bulgarian professional boxer Kubrat Pulev has finally issued an apology for forcibly kissing journalist Jenny Sushe during their interview. The duo was involved in Q&A following Pulev’s 7th-round stoppage of Bogdan Dinu last month, when he forcibly planted a kiss on her lips. Asked if he would like to change what happened, he said: “If God gave me time to return (I’d change it). “I’m sorry about that. But the point is, the desire that I have was made with no intention of violence. This kiss was an expression of joy. Even as the journalist appeared to laugh it off at the time, she later decided to sue Pulev, who had his boxing license suspended saying that was the first time she met Pulev, contrary to what the latter claimed. A few days later, though, a video of Sushe enjoying with Pulev in the after-party. Later, a video of her giving a lap-dance to one of his team members surfaced online, helping Pulev pull one back ahead of the May 14 hearing.